Home→Rapidly Rotating Records→The VERY FIRST Rapidly Rotating Records Show! 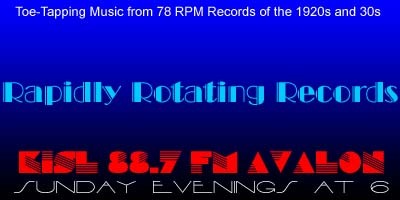 The VERY FIRST Rapidly Rotating Records Show! Welcome to the VERY FIRST episode of Rapidly Rotating Records! Since it’s broadcast on “Island Radio” KISL, the theme of this first show is of course, ISLANDS!